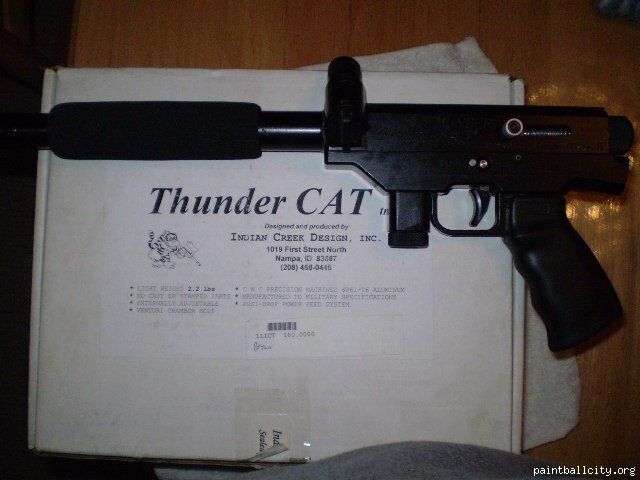 The Thundercat is ICD's in-house model. Instead of different names for each model, ICD now uses code letters like ES, and offers 'Deluxe' models with added aftermarket parts like expansion chambers, 45 grips, splash anodizing, and bottomline adapters. Some Thundercats have rear ASA connections, some don't.